Last Saturday, Mum and I went on an excursion to Old Government House on the grounds of Parramatta Park to check out the Miss Fisher's Murder Mysteries costume exhibition. Miss Fisher's Murder Mysteries is an Australian TV show that is based on author Kerry Greenwood's Phryne Fisher Murder Mystery novels. Miss Fisher's Murder Mysteries revolves around the personal and professional life of Phryne Fisher, a glamorous private detective in 1920s Melbourne. I have only ever seen a couple of the episodes, but I did really enjoy the show and even more so, the amazing outfits worn by the characters. I do love a costume exhibition, so there was no need to sway me, I was all over it! 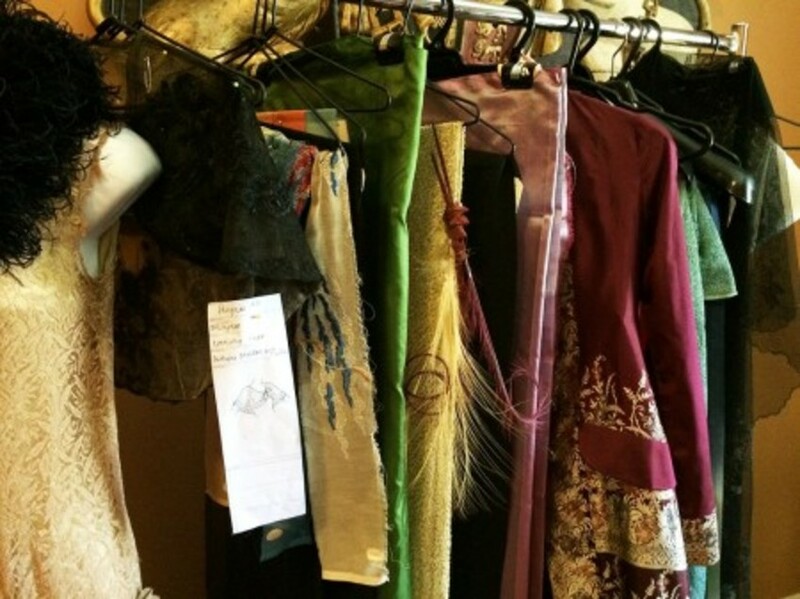 Costume designer Marion Boyce and her team created the amazing outfits and accessories. The way they integrated the setting of Old Government House with the costumes was outstanding. It was a reminder of how fabulous the clothing of the 1920's was. So much texture in the clothing - whether it be lace, sequin, beading, velvet....nothing plain about any of it! It certainly reignited my thoughts around a career change in costume design. I am considering studying it next year on a part time basis....but I think I need to do a bit more research around what job opportunities exist once you have done the study. Anyone know how easy / hard the industry is to get into? Having now been to this exhibit I need to get a hold of the DVDs to watch all the episodes to see the clothes on the screen. If you live in Oz and near this exhibit, I recommend going to check it out. I took a bunch of photos of some of the outfits and whilst the outfits don't come up looking as amazing in the pictures as they were in real life, its worth taking a look. A photo album of images from the exhibit are located here on my Facebook page. Oh I was very cross with myself for missing out on this when it was in Melbourne last year. Aren't the outfits from the show just wonderful - I loved the seaside outfit from the second or third episode of season 2. Enjoy catching up one episodes! 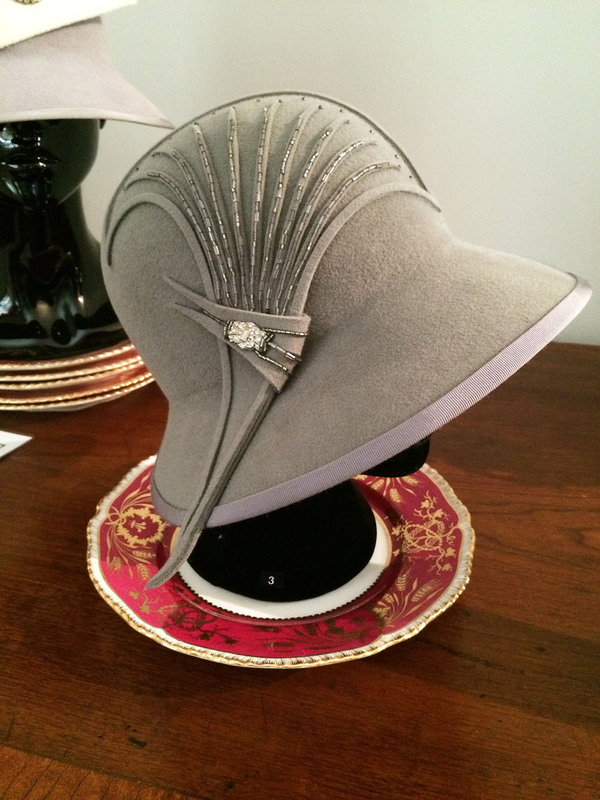 I'm intrigued by the idea of a career in millinery after seeing the photo of that gorgeous grey wool hat. Sadly I don't think it will pay enough to maintain my fabric addiction! I would love to be a milliner....but did a course on making a fascinator and it ended up looking like I stuck a bouquet on my head, not good! I used to work in theatre... There are a couple levels of costume positions. Costume Designer (there is a pretty tough competition for these positions), assistant designer (helps build mockups, draw or colour sketches, with fittings, and buying materials), Cutter (runs a team of switchers for whom they do all the pattern drafting and fabric cutting and fittings) and the sewers! It's s super cool job and also fun, but it is very competitive and each "job" is only a couple months and then you are back looking for work. So... Some pros and some cons, like everything! Thanks for the advice Amanda, I really appreciate it! I thought it might be a tough industry to get into due to the number of jobs available. I think I'd struggle with the ongoing looking for work too. One to think about, because I think it would be a great job! Maybe I should consider one of the sewer jobs.....you'd be surrounded by creative types, and that's what I miss out on working in finance! Ooooh, what a tantalizing preview of the exhibition! I love a good costume exhibition and this is practically on my doorstep. I had no idea the show was Australia...shall get my hands on it and watch a few episodes before our May visit. I'm totally the same - I'll go to anything that labels itself 'costume exhibition' :) You'll love it!